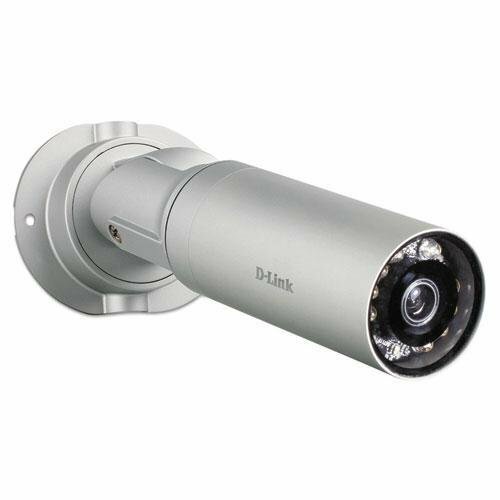 View more, do more, and protect more with the clarity and mobile control of D-Link’s Pan & Tilt Day/Night Network Camera (DCS-5020L). With no monthly fees the exclusive mydlink app you can view and control the camera -anywhere, anytime -on your smartphone or tablet. Experience confident clarity and control with the ultra-smooth pan/tilt and digital zoom functionality. Integrated motion and sound-sensing detection and night-vision technology provides around-the-clock surveillance. 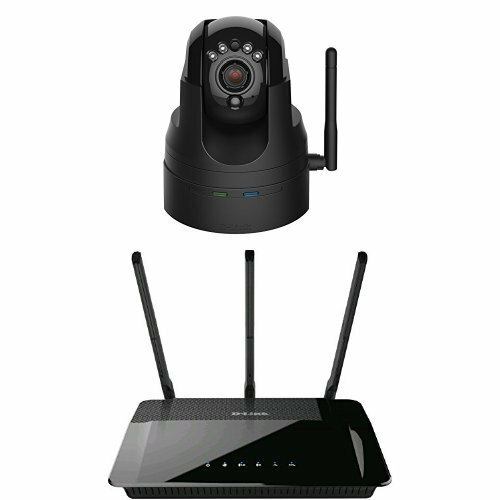 Designed with an integrated Wi-Fi extender to easily expand your wireless network. 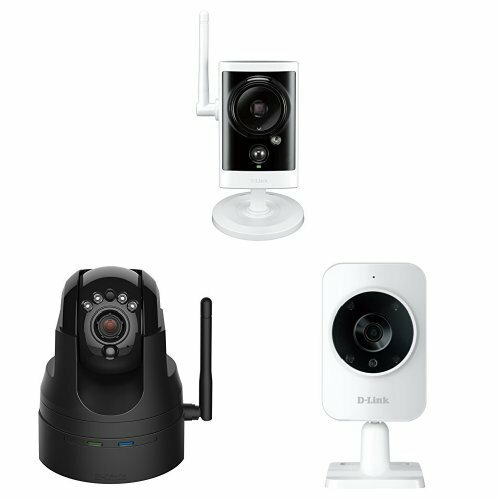 With simple installation, you’ll have an effective, affordable home or business surveillance solution up and running in no time. 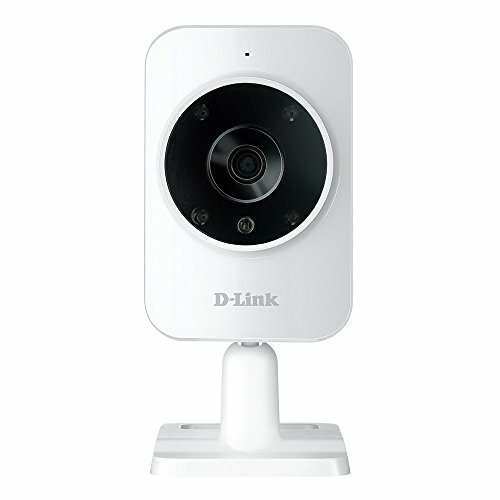 The DCS-2136L Wireless AC Day/Night Camera with Color Night Vision is a mydlink-enabled IP surveillance camera that lets you monitor around the clock with vibrant color images, even in low light environments. It helps you keep an eye on your home or office, even when you’re away. 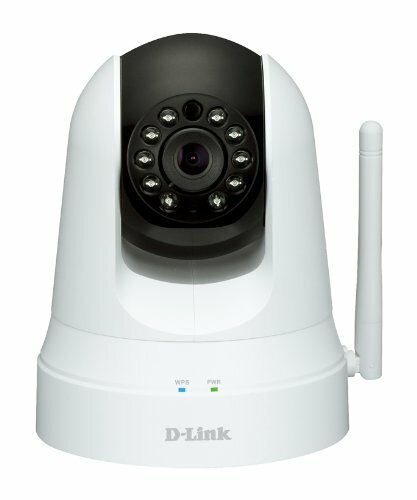 24/7 HD Surveillance for Your Home or Office: The DCS-2136L is built with a megapixel image sensor to give you high-quality snapshots and video with resolutions up to 720p HD. This gives you sharp, high-resolution snapshots and videos with rich detail. Get a closer look with ePTZ, which lets you zoom in, zoom out, and pan across your camera’s video so you can survey a large area easily. A high powered white light LED is also built into the DCS-2136L, which helps to illuminate areas with low or no light and provides vibrant color images. Combined with the passive IR sensor which can be used to trigger the white light LED, the DCS-2136L makes an affordable surveillance and security monitoring device. 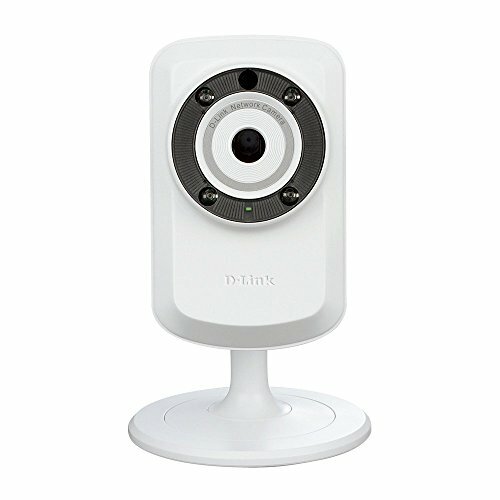 Anywhere Access with mydlink: The Wireless AC Day/Night Camera with Color Night Vision is mydlink-enabled, which means that you can access and configure your camera remotely, no matter where you are. See your camera’s live view through the mydlink website, or download the mydlink mobile app and view your camera directly on your iOS or Android mobile device. Keep an eye on your home while you’re at work, or check on the office when you’re out on the road; mydlink makes it all possible. 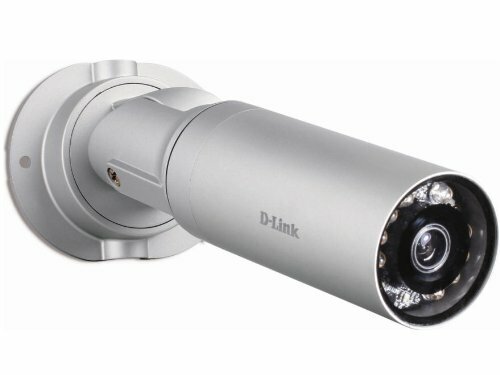 This cloud-enabled IP surveillance camera allows for 24-hour monitoring in any lighting condition using built-in IR filter and IR LED illuminators. Shoots high definition 720p video with 10x digital zoom and pan. Metal weatherproof housing and wire-in bracket are specifically designed for outdoor use. Cloud-enabled for remote viewing and configuration. Downloadable mydlink app allows viewing from mobile devices, both iOS and Android. 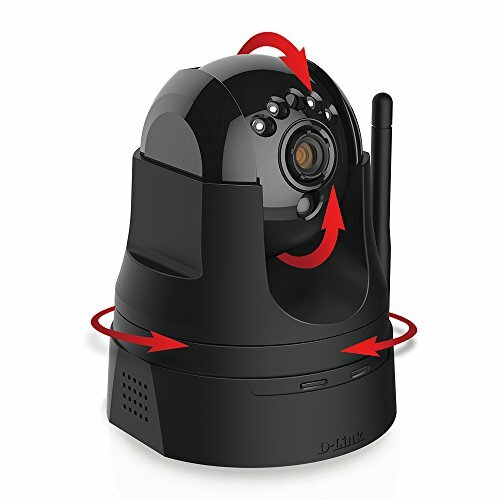 It's even audio-capable via in and out jacks and offers motion-detection with optional alerts. Records video and jpeg stills directly to microSD card (sold separately). Outdoor Use: Yes; Memory/Storage Type: microSD Card; Video Resolution: 720p; Remote Viewing: Yes. 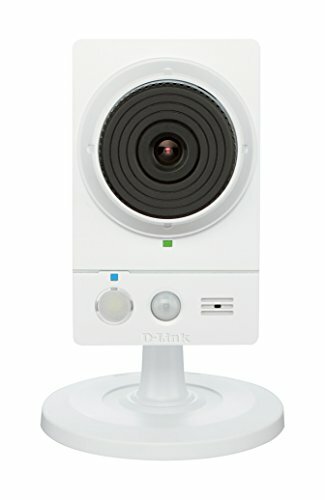 D-Link's Day/Night Wi-Fi Baby Monitor transforms your mobile device into a unique and versatile baby monitor that helps you stay connected, no matter where you are. Connect to your monitor wirelessly or through the Internet to check on your baby anytime, anywhere. 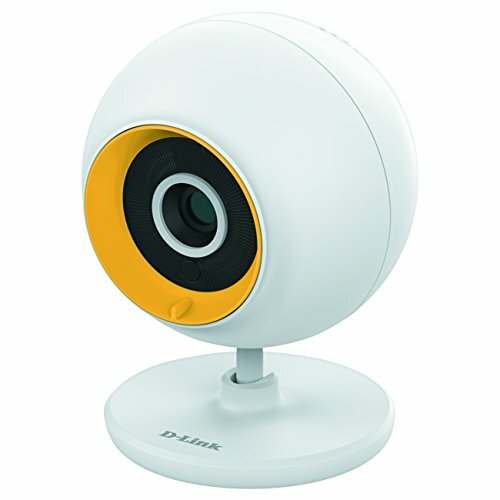 Equipped with multiple features like motion and sound detection, temperature monitoring, night vision, lullabies and the ability to save snapshots or video clips directly to your phone, the Day/Night Wi-Fi Baby Monitor is designed to help you care for your child while delivering peace of mind.